Eastern China is the brightest window through which you can find arrays of attractions: ever-glittering Oriental Pearl Tower and brand-new Canton Tower that shed light on their flourishing cities Shanghai and Guangzhou; Flying Rock and Beginning-to-Believe Hill that bring out a miraculous Mt. Huangshan. 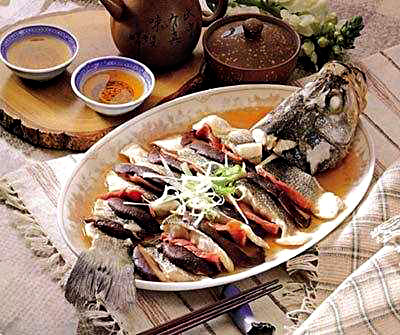 During the limited 6 days, you will have full fun exploring history and culture of three cities in Eastern China and feasting on breath-taking scenery. Don’t let it go! Marvel at the brand-new Canton Tower. 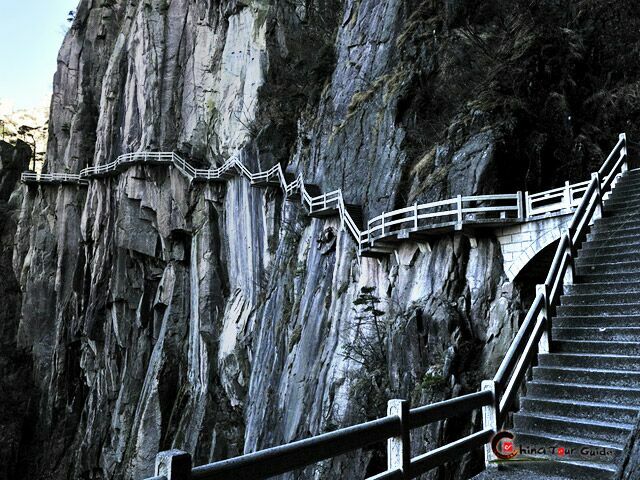 Witness how amazing the four wonders of Mt.Huangshan are. 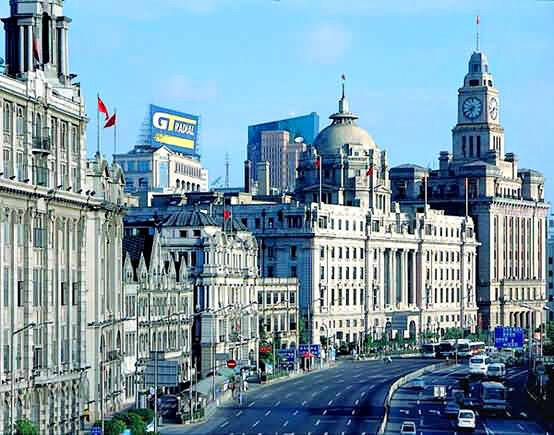 Appreciate Western architecture at the Bund after touring Nanjing Road. 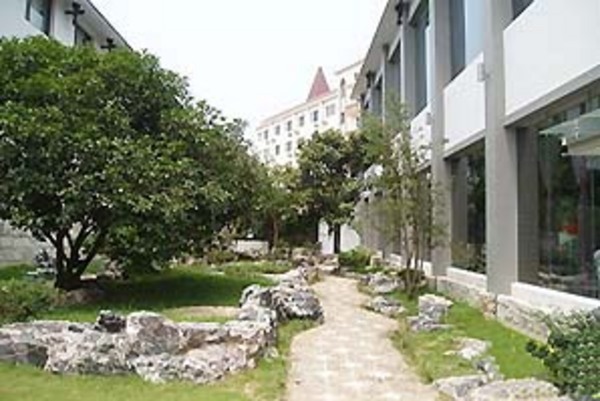 Today's Activities Free time in Guangzhou shouldn’t be wasted with curling up in the hotel, several famous pedestrian streets are waiting for you! Beijing Road Pedestrian Street, for sure, tops the list of recommended spots. The whole street is lined with chain stores. From fashion to leather products to snack bars...whatever you like can be found here, including the vigorous tradition of respecting commerce by Guangzhou people. 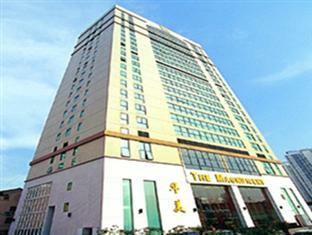 Apart from Beijing Road, Guangzhou White Horse Costume Market and Shangxiajiu Pedestrian Road are also worth your visit. Today's Activities Your eyes will be quite busy today! 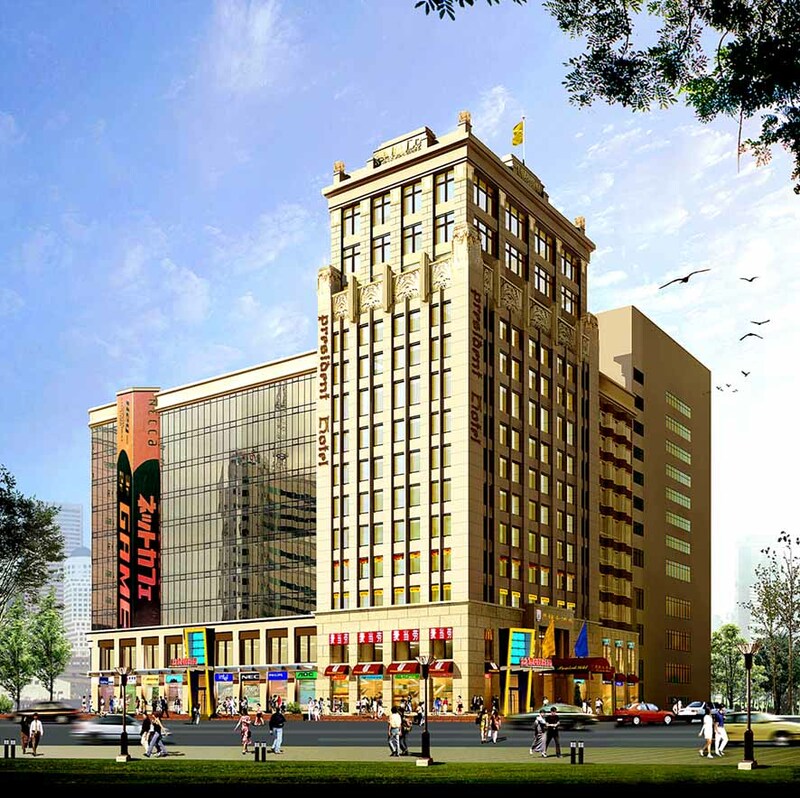 The awesome new façade of the city, Flower City Square, comes to greet you first. The 560,000-square-meter grant square serves as the new axes line of the city, surrounded by blocks of famous skyscrapers. Standing on the square, you’ll also get the great exterior of Guangzhou Opera House, Guangdong Museum, Guangzhou library, West Tower and Haixinsha Island into your vision. These buildings are so celebrated via either the 2010 Guangzhou Asia Games or brochures of classic Guangzhou tour. 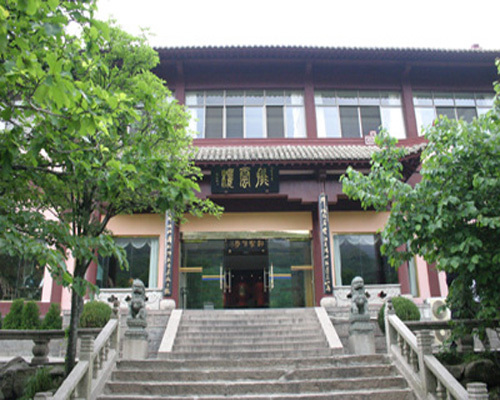 However, later in Memorial Museum of Generalissimo Sun Yat-sen's Mansion, you’ll see another profile of Guangzhou, the glorious witness of scores of revolutionary actions in modern history of China. 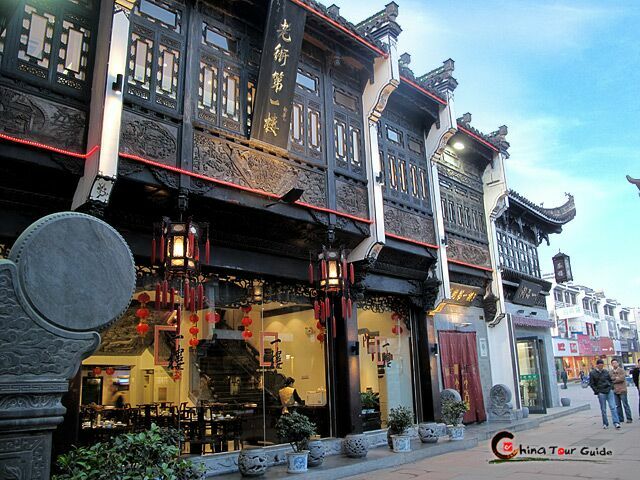 In Renwei Temple and New Litchi Bay you’ll be impressed with grandeur of traditional Lingnan architectural art. 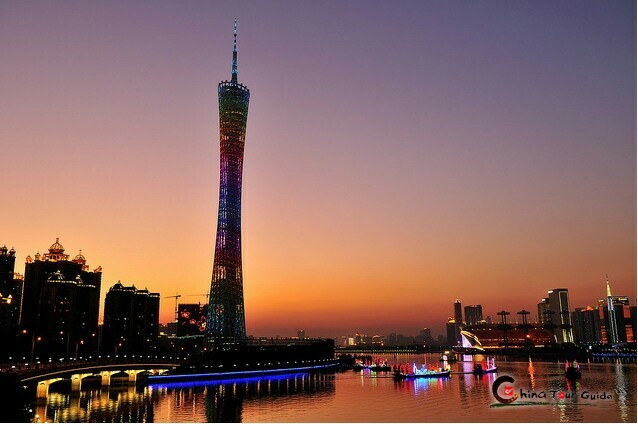 The highlight lies in the 600-meter-high Canton Tower (nicknamed supermodel). 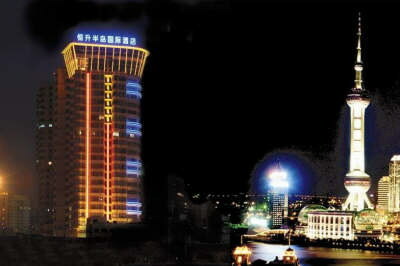 Standing at the highest zone of the tower, you’ll view gorgeous scene of Pearl River and along-the-bank skyscrapers with endless wowing. 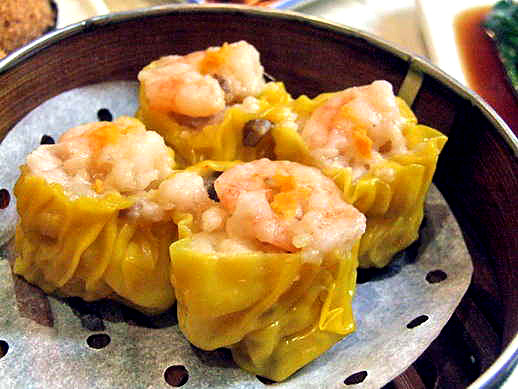 What’s more, the following featured Dim Sum diet will entertain you much. About 6 P.M. we’ll send you to the airport for the flight towards Mt. Huangshan. Afterwards, you’ll be picked up and transferred to the hotel. Steering to natural wonders from modern attractions is interesting, so just get ready for tomorrow’s thrill. Today's Activities Start your journey to Mt. 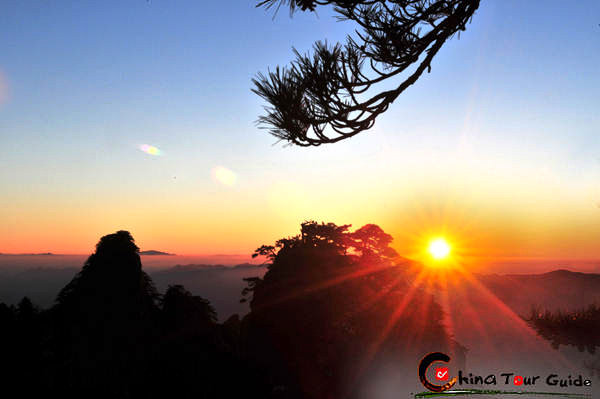 Huangshan, an UNESCO World Cultural and Natural Site from which the city drew its present name. Drive about 1.5h from the city centre to Mt. 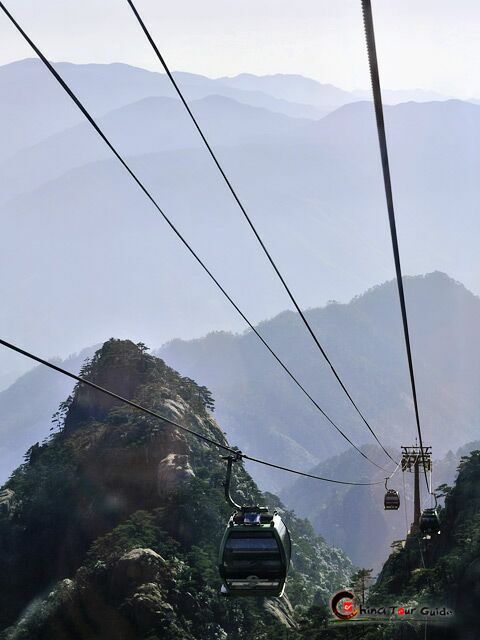 Huangshan Scenic Area and then take a cable car from Yungu (Cloud Valley) Station to White Goose Ridge Station. Feast your eyes on the fabulous pines and bizarre rocks nearby Beginning-to-Believe Peak and Lian Li Pine (Couple Pine). After lunch, get ready for a hiking to West Sea Grand Canyon, let your soul get wild in the less trod region of Mt. Huangshan. Stay overnight at the mountain hotel. Today's Activities Get up early, or you will kick yourself for letting go of the awesome sunrise on Mt. Huangshan. Just imagine that the sun comes out from a floating sea of clouds and shines through the dreamy morning mist. Later, have a visit to the 1,690m (5,544.62mi) high Lion Peak and the surrounding areas, and then take cable car down the mountain. After lunch, you’ll begin to explore the mysterious ancient village that lies at the foot of the unbelievable mountains. 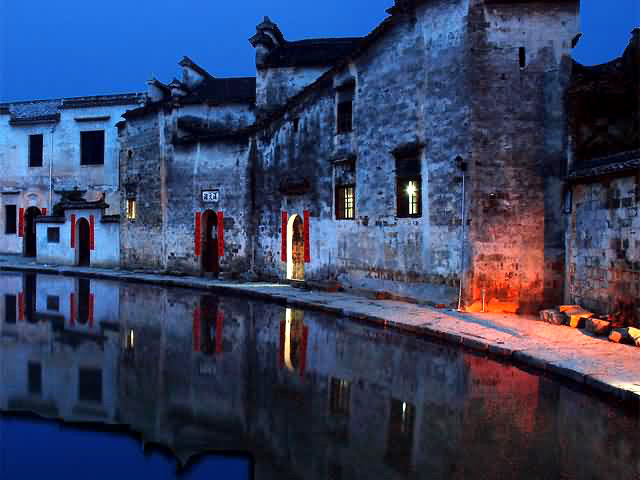 Drive about 1.5h and you get Hongcun in your arms, the World Cultural Heritage Site. Free yourself in this tranquil village and enjoy wonderful moments of the pure local life. 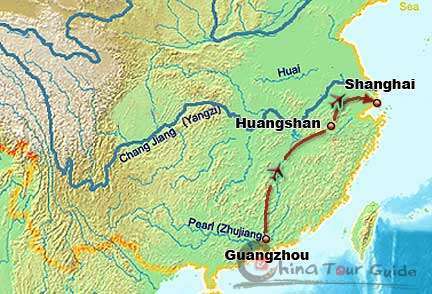 So far your Mt.Huangshan playbill is finished and you’re headed for Shanghai by flight. Another big wow is waiting for you! 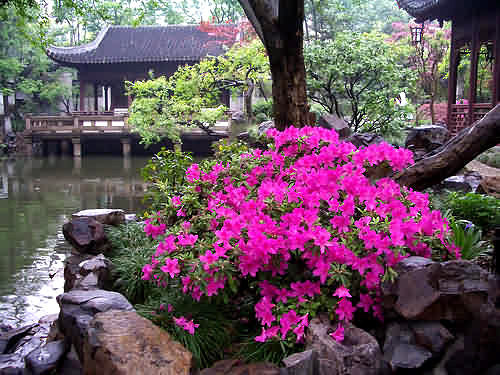 Today's Activities Yuyuan Garden, with its grace and sophisticated layout, gives you a statement of how amazing a South-China garden can get. 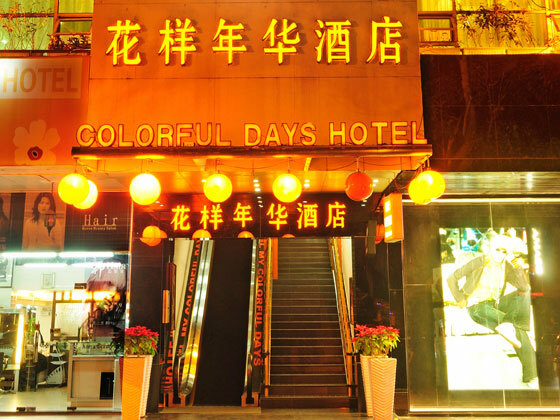 Afterwards, joining the immense parade of crazy buyers on Nanjing Road, you will fully experience fun of shopping. 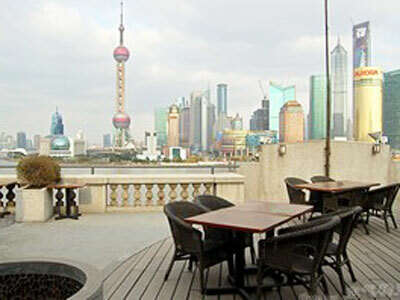 To complete the exotic tone of Shanghai, you still need to make your way to the Bund. There troops of Baroque, Rome and New Classic skyscrapers tell you how glittering the Paris of the East was decades ago. 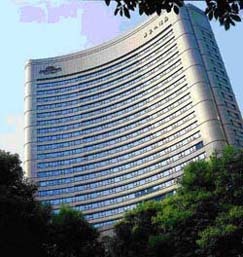 Oriental Pearl Tower, the last stop, brings your love for the thriving city to the highest. 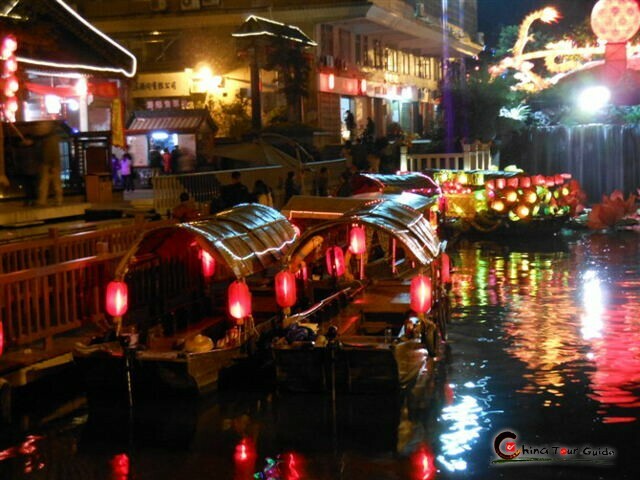 There you’ll get the best night view of Shanghai. Today's Activities On the last day of your China tour we’ll see you off at Shanghai airport, wishing you a nice journey back home and next visit to China! Dear Sara & Cherry, we enjoyed Huangshan very much and our guide, Peter, was excellent, so thank you for his services. The accommodation was fine and the food was also very good. 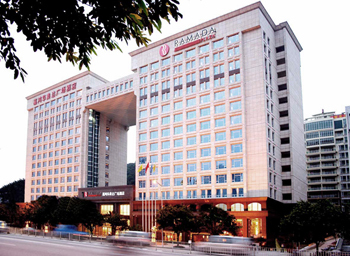 We felt the tour was value for money and would travel with you next time we are in China.